September 2019 September 2. - 4. April 2019 April 3. - 5. March 2019 March 14. - 15. Is there knowledge that fails to be true? Die Grundlagen des Denkens: Der 'Common Ground' aus kognitiver Sicht January 24. Investigating the Mind November 21. Jennifer Nado: Engineering Knowledge (Research Colloquium EXTRA.1) July 09. Matthias Rolffs (Universität Bonn): „Non-Reductive Physicalism and Mental Counterfactuals“ January 24. Jun. Prof. Dr. Sascha Benjamin Fink (Otto-von-Guericke-Universität Magdeburg): "Are phenomenal experiences necessarily private?" Are you a consistent believer? 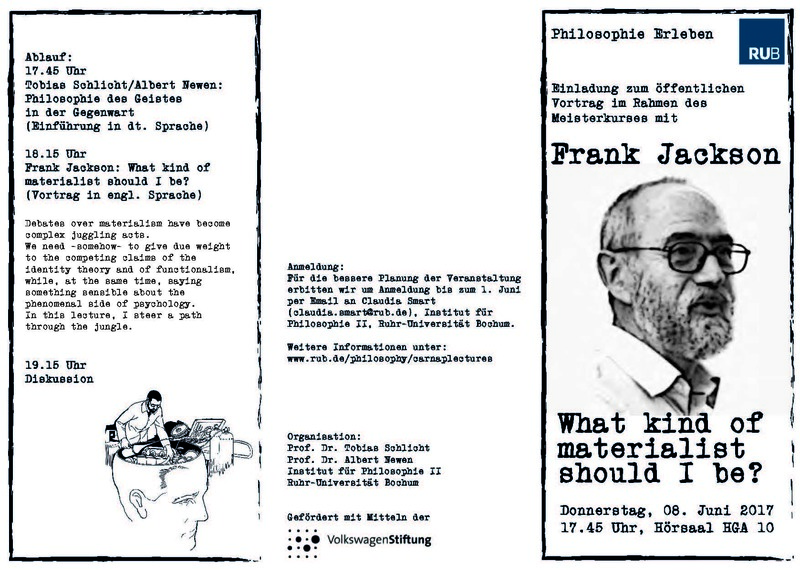 Frank Jackson: What kind of materialist should I be? 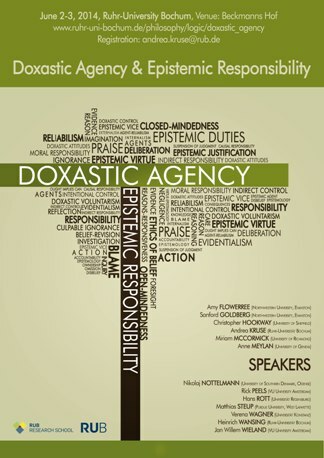 The Experimental Philosophy of Morality and Causation. "Open Research Challenges in Instaniated Argumentation"
"Are religious philosophers less analytic?" "Naturgesetze in einer kausalen Welt"
"A New Look at Adverbialism about Perceptual Experience"
"Temporal and spatial aspects of the sense of agency"
"Episodicity and gernerativity: Is episodic memory systematically misleading?" "What is to (successfully) remember an episode?" "The Ontology and Methodology of Compositional Explanation"
"Affordances for language use in enactive cognition"
"The content of perception: why evolution matters"
"Radical vs. convervative predictive processing: Settling the debate about the framework's representational commitments"
"Cognition and the Personal Level: Cognitive Neuroscience, Human Action and Flat Psychology"
Mental Representations. The foundation of cognitive science? The notion of mental representation has played a central role in explanatory frameworks in philosophy of mind and the cognitive sciences ever since the cognitive revolution in the 1950s. However, cognitive science has been undergoing a constant transformation, first through connectionism and then through enactive and embodied approaches to cognitive phenomena. To various degrees, these paradigms have called into question the usefulness and even the coherence of the concept of mental representation. 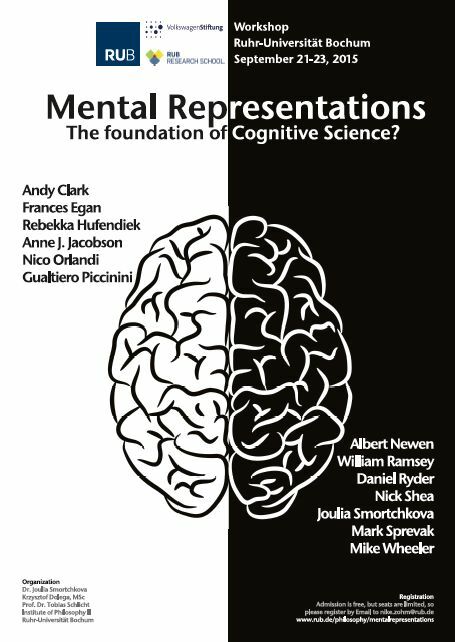 This workshop brings together experts in the field who approach this problem from different angles, promising a fruitful discussion about whether future philosophy of mind and cognitive science should retain, discard, or transform the concept 'mental representation‘. Registration: Participation is free but please register by email to nike.zohm@rub.de. 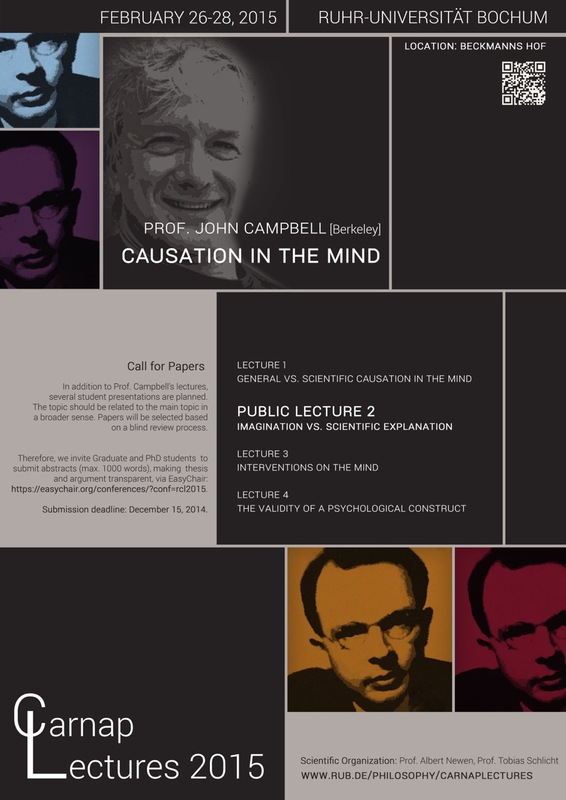 10.-12.03.2014 im Beckmannshof: Rudolf-Carnap Lectures 2014. 10.03.2014, 18:15 Öffentlicher Abendvortrag in HGA 20: "Explaining Mind. Cultural evolution as the bridge from absolute ignorance to intelligent design" (mit einer Einführung in dt. Sprache von A. Newen und T. Schlicht). Rudolf-Carnap Lectures 2013: Structuralism, Space, and Skepticism.